What is the objective of a winter team building ? The aim of a team building is to develop the collective values, increase the team cohesion and the involvement inside the company during playful and funny activities. 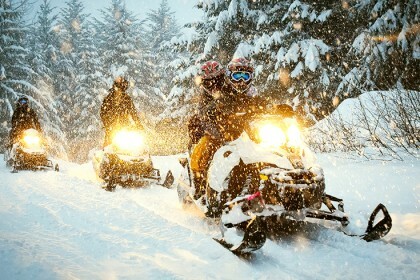 The landscapes of a winter team building are magical thanks to the snow and the mountains view. Your employees and co-worker will be more receptive and open minded in this kind of place. 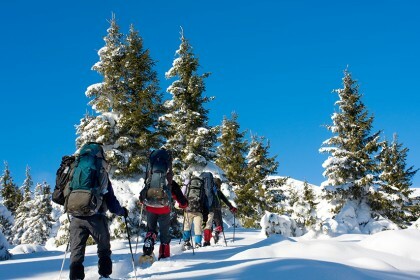 Throughout outdoor activities, a winter team building enables your employees and co-worker to be glowing together. 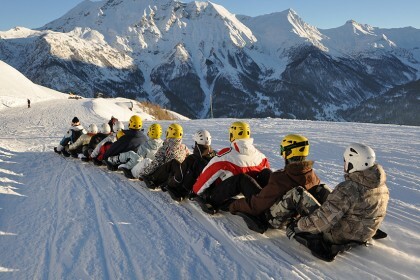 A winter team building activity require various skills, therefore each participant can bring his own ideas and expertise to the team and create a real team cohesion in order to progress together. A winter team building is a good way to show to the team the significance of each person inside the company, there is no accomplished work without the skills of each person. A winter team building increases the team cohesion, the mutual aid, the solidarity between company’s member and to pool the skills of each person (intellectual and physical) in order to achieve un common goal. Depending on your requirements and your desires, we can suggest you many different activities for everyone (beginner, initiate or sportive person). 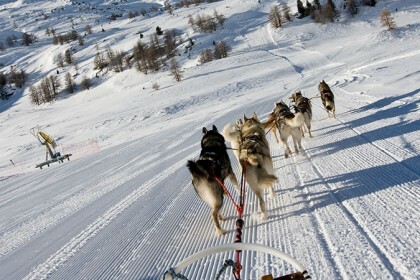 You can opt for sled dog ramble inside the forest, a snowshoes hiking, cross-country skiing or snowmobile driving. Initiate your team to the avalanche seeking, igloo building, go skiing on beautiful ski runs or do a rafting on snow descent. If you want a festive winter team building, you can choose a groomer climbing at the top of the ski runs for a private business dinner. In France or abroad, you can discover the local’s specialities or relax in a spa and balneotherapy centre with natural hot water baths. The more audacious people can try the under ice diving ! With a local guide, the more sportive people can heliskiing on off-piste descent…. Thrills guaranteed ! 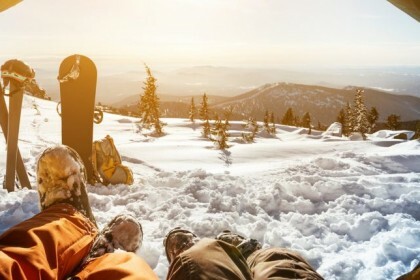 Depending on your requirements, your desires, your budget and your availability, we suggest unique stay with a lot of winter team building activities. You can combinate a seminar with your team building activities, with accommodation. This kind of combination is perfect because you alternate business meeting and relaxing deserved moment. Your employees and co-worker will be grateful, and they will have an opportunity to get to know each other. A better communication and understanding in the team are essential for a better productivity inside the company. 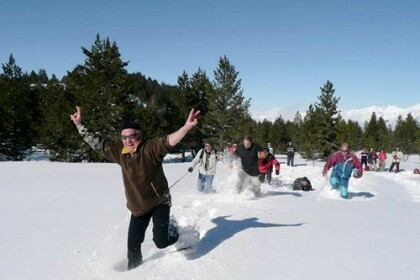 In which place organize your winter team building ? Some of our winter team building offers are not on the website, if you want a personalized and tailored quote, according to your specifications and your requirements, you can contact us at 05 34 391 392 or via our quote request form.